Let's forget the black tattoos on arms, shoulder or chest. 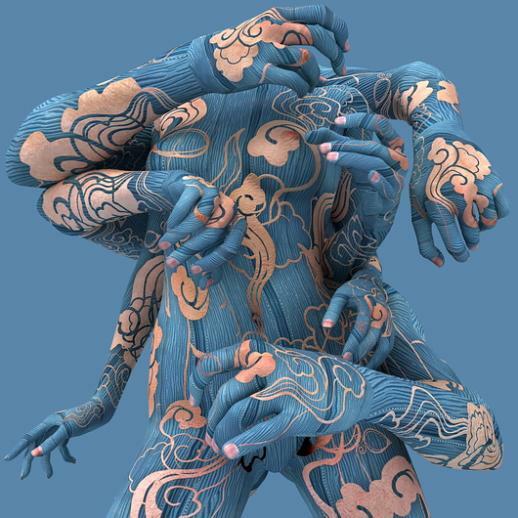 The Korean artist Kim Joon uses the whole body and the most varied colors. And goes further on: he groups masculine or feminine bodies intertwined in sensual positions over which he designs continuous patterns which are fused in a unique corporal mass, subdued by the design and color! Despite his style declared a pronounced oriental stamp, Joon does not limit himself to the customary dragons and serpents. Instead, any material serves him as a pictorial pattern, whether they are floral motives, commercial brand logos or Superman comics, whose graphic potential es enormous and is smartly explored by the artist.